Hi there vX-2... I actually live in Lincoln right now for college. What color 8 do you drive I haven't seen any other 8s down there except for another red one. Chalco is on 156th and Giles which is not far from the Sapp Bros. exit of I80. Zorinsky has entrances on 156th and 168th between Q and Center... the main one is on 156th and R or something like that. I drive a Dark Green Mica Rx-8. You should be able to spot me around the Antelope Valley Drive, Around the Stadium, and probably 13th & W.
There are quite a number of 8s that I've seen actually. There were 2 silvers, 1 yellow, 1 Red, 1 same color with mine (but texas plate) and another 1 with blue. 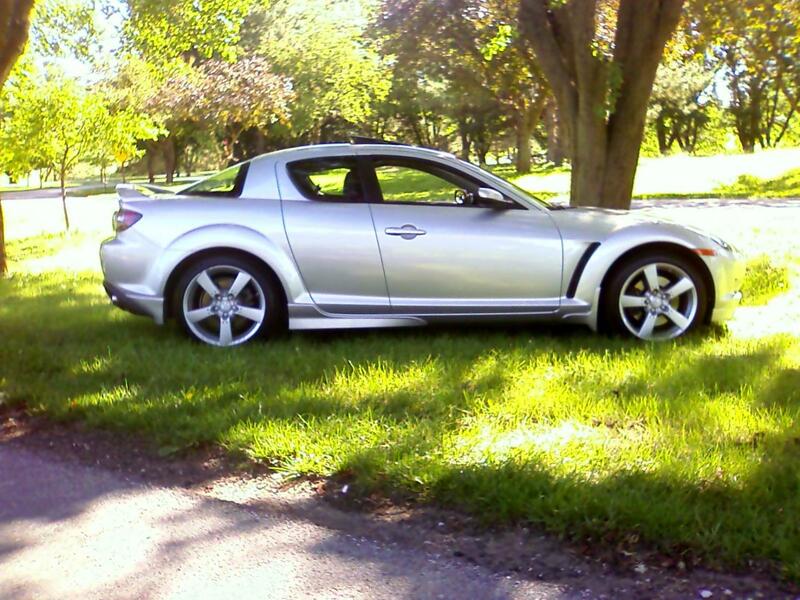 And a new 2009 Rx-8 (white) that always around 27th street of walmart parking lot. We could met up sometime if you want as I'm living near UNL also. a white 2009?? For real?? get pics! I havent seen one besides the ms edition. Hah I have seen that white 09 on 27th as well. I actually live sorta near that wal-mart. I'm at 27th and Fletcher. And I know who you are talking about probably with the winning blue 8 but he sold it and I don't think its in Lincoln anymore. If you wanna cruise sometime lemme know. Yep, I think that's my car that you saw.... and now I re-called seeing u as well at Hy-vee..
can go to the honda meet this sat and **** them off? Haha! That could be some fun. I think I have seen your car. The friends I am staying with live in Two Springs 2, and I see a red 8 every day over here. I have also seen one on the base...at the gym a few times. Is that you? We are literally right around the corner here....my buddy has a grey rx8 and my white one is sitting in the driveway, about to be washed...again. Private message me your Name and email address so I can add you to my RX8 event mailing list. I have following parts i want to sell. I have to get some stock parts before i can take off though. I can meet people half way or just pick it up. Car has a potential buyer so returning to stock will help me more. I still have my '04 winning blue. It spends lots of time in my garage in the Highlands except for road trips, autocross and some weekends. You guys really ought to come out for the autocross events. Everyone is very welcoming and I'm getting tired of being the only one in BS at the small meets. Have a red FD 7 here. Don't come on much, but if you guys get something organized before snow flys, I might be interested...if 7's would be welcome. I also have a friend who recently bought an 8 and he needs to learn about the car. See your car frequently along Capehart. I live near the base. The red looks great with those wheels. I'm going. But not driving the FD. Last edited by Signal 2; 10-23-2009 at 06:59 PM. Ouwh... that was your car ? I actually tailed u once b4 at downtown lincoln (Walgreens and Wellsfargo intersection). You made a left turn and I went straight though. There was a girl/women in it as well. LoL ! AFAIK, I'm currently the only red FD around here so that was probably me. And I travel down to Lincoln occasionally. That would have been my daughter... she a sophomore at UNL. I live in IA i would be up for a meet. I'll be making a trip up north probably in early January to Yutan/Plattsmouth for the whole Christmas thing, so if there is anything going down around that time, I could just take an extra day and hit the get together or lunch or whatever. Hey guys. Live in Lincoln, new to forum and the rotary world, got a 04 red one, looking for boost mods and i really need wheels, previous owner bent one of the rims so im looking for bronze or black wheels. PM with info plz. Fine idea. I'm off this Tuesday. Not going to be really warm, but looks dry. Ok I'm going to be at quaker steak and lube TOMMORROW at around 530. Anyone interested in getting together?